There’s a reason to improve oxygen supply to cells. It helps boost your energy level, improves your cognitive functioning and also helps you look and feel better. Improved oxygen levels can improve your breathing, help prevent headaches and that dizzy feeling. However, there’s more than it can do than just that. It improves your overall energy level, too. Today, there’s even skin boutiques that offer oxygen inhalation therapy to improve the condition of the skin and prevent premature skin aging. Make some dietary changes to improve your oxygen levels. Diet does play a role in oxygen levels. In fact, without iron in your diet, your blood can’t absorb the oxygen to transport throughout the body. Foods rich in iron include green leafy vegetables, fish, red meat, poultry and legumes. If you have iron deficiency, work with your primary care provider to overcome the problems. Make sure you have foods like broccoli and kale and a well balanced diet, as daily. Skip the junk food! When you exercise, you work your lungs and your heart. Both are necessary to provide more oxygen into the cells. The lungs actually bring it in, while the heart sends it throughout the body. The harder you work your muscles, the more oxygen is used and the more carbon dioxide released. It increases your breathing dramatically and causes the heart to pump faster to bring more oxygen to the cells. You’ll be improving the muscle use of the oxygen, lung capacity and oxygen delivery system with exercise. Get plenty of fresh air and have plants in the house. There’s nothing more refreshing than fresh air. It also can boost your oxygen intake. Luckily, it’s relatively nice year around and you can open windows and air out the house frequently. If you live in a colder climate, you’d have a narrow window between turning on the furnace and keeping the windows shut and turning on the A/C, also keeping the windows shut. If you can’t air out the house as often as you’d like, keep plants in your home. They improve the levels of oxygen by using the CO2 in the air and releasing oxygen. The more you increase your body’s oxygen levels, the more you improve your concentration. Low levels of oxygen are responsible for headaches, mental confusion and poor memory. The American Lung Association, COPD Foundation and federal health agencies all recommend exercise to boost oxygen levels for people suffering from lung disease. Improved oxygen levels not only help detox the body and cleanse the blood, it also helps with recovery after an injury. 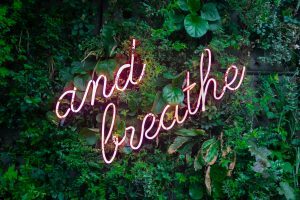 Learn breathing techniques to improve your oxygen levels. 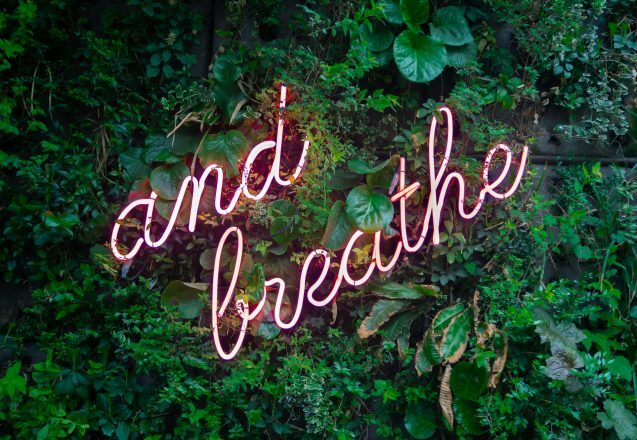 Studies show that breathing techniques, like diaphragmatic breathing, boost oxygen levels. Sometimes, it’s almost impossible to go to the gym or maybe you’re simply not ready. Some people find they’re so out of shape that you simply can’t start a workout program. The good news is that there is cardio you can do at home to get you started on the path to fitness. It’s also a great way to supplement a program of working out or fill in on those days when you can’t make it for your regular workout. Grab a jump rope or a hula hoop. You don’t have to get complicated to get the benefit of a cardio workout. If you’ve ever jumped rope for any length of time, you know it can be extremely wearing. It doesn’t take to long before you to be out of breath if you’re not in good shape. Just ten minutes can boost your cardio endurance. A hula hoop, especially a weighted hula hoop, can also be part of your cardio program. Hula hoops, like jump ropes are inexpensive and fun to do. Jogging in place can add to your endurance. You can warm up by jogging in place and add some moves that really boosts your endurance like marching and lifting your knees high while moving your arms, jumping jacks, squats and lunges. The key is to do them fast with little rest in between. You’ll be sweating and breathing hard quickly, so pace yourself enough to get in a ten minute workout at least. You don’t have to use a specific exercise, even walking can be a HIIT workout. HIIT stands for high intensity interval training. It means you do an exercise at top intensity for a while, then drop back to a recovery or slower level for that same length of time or longer and back to high intensity. HIIT workouts are the quickest way to get back into shape and you can even use walking for the exercise. That makes it easy for anyone wanting to get into shape. Get strength training and a cardio workout at the same time. 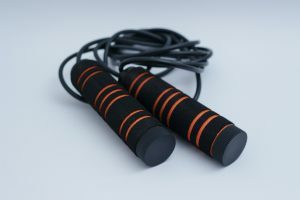 If you have weights or resistance bands at home, by using a circuit training technique for strength training, you can get a cardio workout. Do you have steps in your home? Running up and down a flight of stairs provides a great workout for your cardiovascular system. If you have clothes to take to a lower level laundry, run a few items at a time down and get two things done at once. Jumping up on a box or slightly higher area can provide a workout. Either jump with both feet together or omit the box and do a lunge jump landing on the opposite foot. Flatten your tummy and get a cardio workout by doing mountain climbers and other bodyweight workouts. Even a plank can boost your cardiovascular endurance. If you’re feeling bloated because you simply can’t go, you might consider exercise, diet and adequate hydration for constipation. Taking pharmaceutical aids and cures in a bottle can help occasionally, but to conquer the problem permanently, you need to make changes in your life. Frequent use of laxatives can create a dependency on them and cause other physical problems. 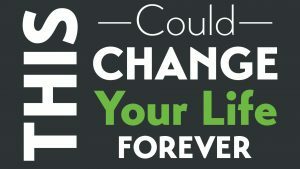 Making lifestyle changes is the only way to permanently change it or make it far less frequent. First, you need to identify exactly what constipation means. How often should you go between bowel movements before you’re constipated? There’s no specific number of bowel movements or specific number of days between them that constitutes constipation. Some people go three times a day while others go only a few times each week. However, if you’re straining on the toilet with the feeling of being bloated and only small hard pellets or nothing comes out, you’re probably constipated. It’s about how you feel, not a specific number of days. Eating fibrous whole foods can help solve the problem. Whole foods, like fruit and vegetables, contain fiber. Increasing the amount of whole foods you eat, especially fibrous ones, can help prevent constipation. There are two types of fiber. One adds bulk and one helps absorb fluid to keep your waste softer. There’s an estimate that approximately 77 percent of those with chronic constipation can benefit from extra fiber. Insoluble fiber, the type that adds bulk, comes from eating whole grains, bran and vegetables. Soluble fiber, the type that absorbs fluid and keeps the stool soft, comes from nuts, lentils, peas, oat bran, barley and some fruits and vegetables. Often dehydration can cause constipation. People are often mildly dehydrated and simply don’t realize it. Drinking 8-eight ounce glasses of water each day may be all you need to avoid constipation. 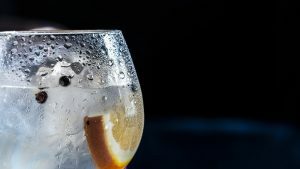 Carbonated water may work faster if you’re in need of a quicker fix. 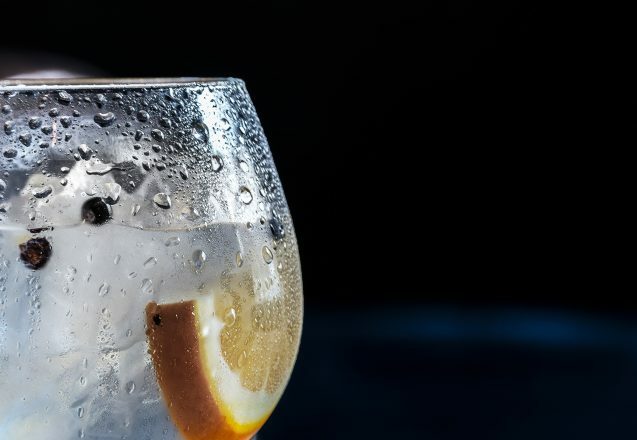 Studies show sparkling water is more effective than plain tap water, even for those that have chronic constipation or IBS—irritable bowel syndrome. Exercise can help you go by working the muscles and helping the bowels move the waste through your system. Simply going for a walk may get you going again. A cup of caffeinated coffee can help get you going on those days when you need a little boost. The caffeine stimulates the muscles that push the waste through. Probiotic foods can also help relieve chronic constipation. Some studies show that people with chronic constipation have an imbalance of gut bacteria that aggravates the problem. Some of the best foods for constipation include rhubarb, berries, raisins, plums, grapes, apples prunes and whole grain. Avoid rice, white flour and processed foods when you’re constipated. The original food pyramid started back in the 1990s by the USDA, but unfortunately, they got it wrong. Why? Nobody is quite certain. Part of the problem may have come from lack of knowledge known today, while another reason may have been from powerful lobbying groups that altered the outcome. 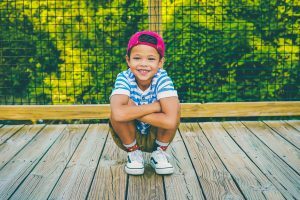 Either way, food and nutrition guidelines for healthy kids is one of the most important goals for parents here in Irvine and institutions like schools. Knowing how to start kids out on a healthy track can establish a lifetime of healthy eating. Nothing is wrong with boosting your vegetable and fruit intake, but don’t count potatoes in that group. One of the biggest problems with the new MyPlate, is that they count starchy vegetables the same way they count healthier ones. While there’s nothing wrong with a few potatoes a week, they are actually somewhere in between refined carbohydrates and whole grains when it comes to nutrition. A healthy diet for a child should include more colorful vegetables, with far more greens, red, purple and yellow. Make sure your child gets approximately—based on their age and weight—2 cups of varied vegetables with most of them colorful and 1 ½ cups of fruit. There’s a lot of controversy about having dairy in the diet. Besides the fact that dairy can create digestive problems for some people, there’s no need for more than one or two servings of dairy a day. Those opposed to dairy say it causes respiratory problems, which can come from digestive upsets and acid reflux. There’s also evidence that high milk consumption actually increases the potential for bone fractures, heart disease later in life, some forms of cancer and anemia. There’s no need to have milk with every meal, plus cheese, yogurt and other milk products in between meals. Fats are an important part of a healthy diet, but are still not given their due. One problem with using the food pyramid or MyPlate is that neither one identifies the type of fat to include in a diet or gives fat the importance it deserves. While fat is loaded with calories, it also fills you up quickly. Healthy fat is essential for a child’s body development and growth. It’s necessary to create hormones, absorb fat soluble vitamins like A, K, D and E and to create insulation for the tissues of the nervous system. 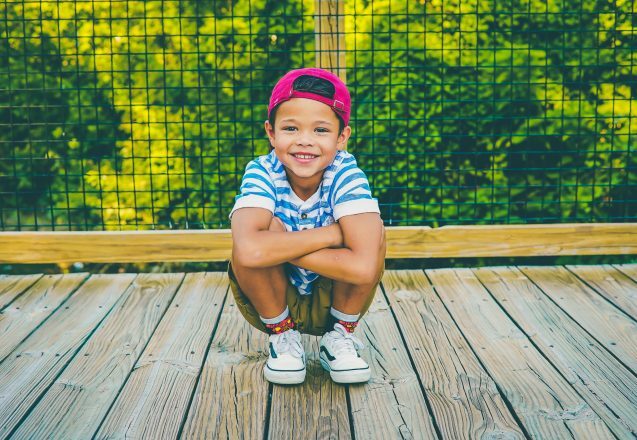 Without enough in a child’s diet, their nervous system and brain growth may not have normal development. The brain is 70% fat. There are three types of fat, saturated, unsaturated and transfats. Transfats and hydrogenated fats have no place in a diet, while adequate amounts of the other two are necessary. Even though MyPlate suggests some of the fruit can come from juice, your child is better off eating the fruit and drinking water. Fruit juice is high in calories, without the fiber that aids the digestive system. There’s nothing wrong with the recommendations for vegetables and fruit in the government MyPlate, but emphasis should be placed on using the ones with various colors and keeping potatoes to a minimum. You don’t have to serve only beef, chicken or pork to get the right amount of protein in your child’s diet, nuts, eggs and beans are a few other sources that should be included. Choose water as a drink of choice for your child. If you’re feeling guilty, like less of a parent by serving water, make it bottled water. How many times have you started dieting, lost your weight and then gained it all back within a few weeks or months of ending your diet? How many times have you dieted and in one horrible evening, ended the diet and all the progress by stuffing your self with the diet’s forbidden foods. Diets always fail, but making lifestyle changes don’t. Making lifestyle changes means learning to eat healthier and make smarter choices when it comes to food. Whether you’re counting calories or carbs, eating a “special, magical food” or following a guru’s recommendation, diets don’t work. You’ll feel deprived and often hungry when you diet. There are often a plethora of do’s and don’ts that you must follow or the diet end. When it end, you not only go back to old eating habits, you also regain the weight you lost and sometimes even more. Nothing has changed. You still crave that candy bar at three in the afternoon and buy a few boxes of cookies at the grocery. It’s no wonder you regain the weight. 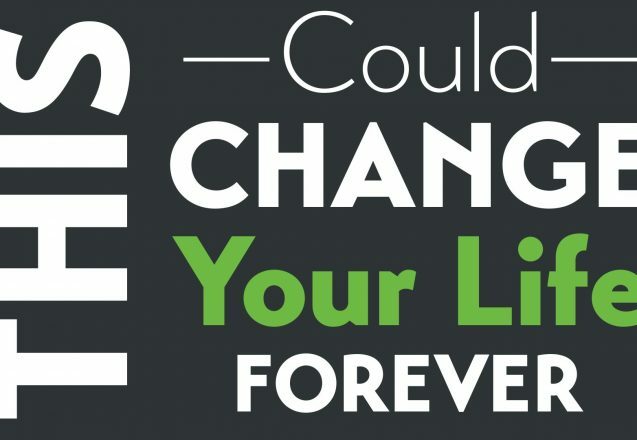 A change in lifestyle means eating healthier and making permanent changes. 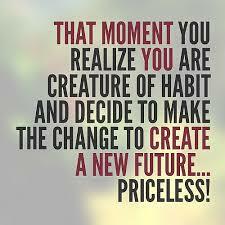 Lifestyle changes means changing habits and making smarter choices. You’re not really making any kind of permanent change when you go on a cabbage soup and lemonade diet—or whatever kind of crash diet you chose. That’s because these were not meant to be used for longer periods. They’re not nutritionally balanced and they’re extremely boring after a short period. Learning to make smart substitutions, such as having healthy snacks available, like an apple, to offset that hunger mid afternoon so you don’t look for a candy bar. Even making small changes, like substituting brown rice for white rice also adds more nutrients with fewer calories. Lifestyle changes mean learning to cook differently. How you cook your food is as important as what you cook. If you’re breading and frying everything, you’ll benefit from learning how to steam, grill or bake your dishes. Changing a recipe may be in order. Consider using applesauce to substitute for sugar or oil in cakes or muffins. Filling up on vegetables with more servings per meal is also part of a healthy diet. Do you have to give up some of your favorite dishes? You can still eat them, just in smaller portions and not as often. A program of regular exercise also is part of a healthy lifestyle. It not only burns calories and builds muscle tissue, it can also help prevent serious conditions like diabetes and heart disease. Adequate hydration is also part of a healthy lifestyle. The body requires approximately 8-eight ounce glasses a day. While you might get sample meal plans at first, until you learn how to eat healthier. Once you understand a healthy way of eating, you can eat anywhere. Even if you overeat one day, you simply go back to normal eating the next. Life changes are what make the difference in good health. Too often people make a New Year’s resolution to start exercising or eat healthier and within weeks, all that resolve disappears. Why not go slower and develop new health habits instead. New health habits last a lifetime and offer the opportunity to live longer with fewer chances of serious conditions that affect your enjoyment and length of life. Start by changing your eating habits. You’ll lose weight and feel great when you change your eating habits. 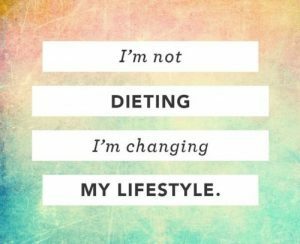 Changing your eating habits is more than just dieting. Dieting doesn’t work. When you diet, you feel deprived and often hungry. Once you lose the weight, you go back to your old eating habits that put on the weight in the first place. Instead of dieting, learning how to make smarter choices in food is the key to a life without weight problems. A personal trainer can help you make those changes. Some changes are simple. Some simple changes include eating brown rice instead of white rice or having an apple ready for a midmorning break so you don’t grab a donut or candy bar. Others are not as easy, but still enjoyable, like cooking differently and steaming, roasting or grilling instead of frying foods. Start a program of regular exercise. You can vow to exercise, but until it becomes a habit, it will be a struggle to maintain the regimen. If you aren’t ready for a complete program, start small. Start walking to lunch. Take the stairs instead of the elevator and park further from the store. Your body will become more accustomed to increased exercise and it won’t take long before you’re ready for a program. Create a workout schedule that you’ll fit in at the same time every day. Make it become an appointment. 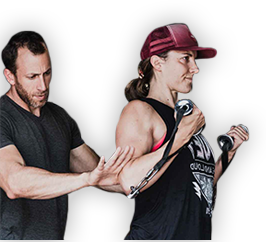 Another alternative is using a personal trainer to design a program specifically for your needs. Meeting with the trainer is an appointment, making it more likely you’ll stick with it. While the combination of a healthy diet and regular exercise will help you stay healthier, getting adequate sleep is also important. Lack of sleep affects your health in a number of ways. It makes it harder to lose weight by increasing your hunger hormone and reducing the amount of the hormone that makes you feel full. It also increases your risk of heart disease. Too often people think it’s noble to burn the candle at both ends, but it’s really selfish. It puts you at risk for serious conditions that can affect your health, either cutting your life short or forcing others to care for you. Stay hydrated. This is especially important in the winter when you don’t feel as thirsty as you do in the summer. Lack of hydration can cause many symptoms. It even can cause signs of dementia in the elderly. Smile more. That’s right! Studies show that people who smile more live longer. Increase your stride and pace when you walk. People who walk more briskly also live longer. It changes the simple act of walking into a more vigorous exercise and boosts the amount you get throughout the day. Be thankful. 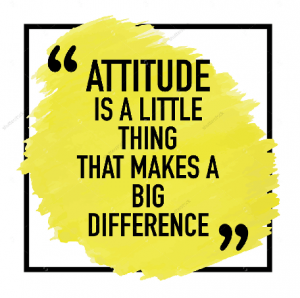 While you may not have as much as others, the act of gratitude for what you do have is a habit that not only makes life more worthwhile, it lengthens it. Take a minute every day to appreciate what you have. If walking isn’t fast enough for you or completely boring, consider an alternative and start bike riding. There’s a lot of reasons to ride a bike. First, it’s great transportation. You can get quite a distance on a bike without the same amount of effort it would take running and it’s also far faster. It may even be faster than taking a car if there’s a traffic jam you can weave through and won’t have you sitting waiting for a bus, just to end up blocks from your destination. Riding a bike is good for your health. 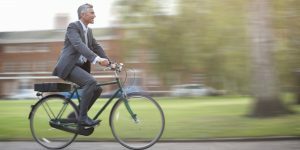 Bike riding is low impact, so it’s good for people with conditions like osteoarthritis, since it doesn’t put stress on the joints. There are fewer injuries than found with running or other high impact sports. Cycling can get your elimination system moving and help prevent colon cancer. It also is shown to reduce breast cancer. Cycling is also helpful in preventing heart disease and diabetes. You’ll burn calories and fat when you cycle. Not only will you burn loads of calories, you’ll also build muscle. The more muscle tissue you have, the more calories you’ll burn 24/7. That’s because muscle tissue requires more calories to maintain than fat tissue does. While you still have to eat healthy, if you’re burning extra calories riding, you’ll lose weight. It all depends on the intensity and how fast you ride and your weight. Cycling can burn as few as 400 calories and hour to as many as 1000. Just think, if you hopped on your bike to go to the store twice a week, instead of taking a car, in less than a month you could burn off one extra pound of weight. Save more than just the environment when you ride a bike. You’ll not only get exercise when you ride a bike, you’ll save money, too. There’s no cost for fuel! In fact, if you live close enough to work, you might use your bike as primary transportation, saving insurance cost, fuel, car payments and maintenance. That can mean thousands of dollars yearly. Use Uber, a bus, taxi or rent a car for those rare times you need a vehicle. Don’t sell your car right away! Start with a little at a time until you feel strong enough for most daily journeys. Be aware that you still need some weight bearing exercise to help fight osteoporosis. One study showed that people who rode a bike inhaled less pollution than those riding in a car or walking. It came from results from an air pollution device attached to walkers, bikers and car drivers in the same area. You’ll sleep better at night. Like most types of exercise, biking provides a good night’s sleep. The sounder your sleep, the healthier your body. 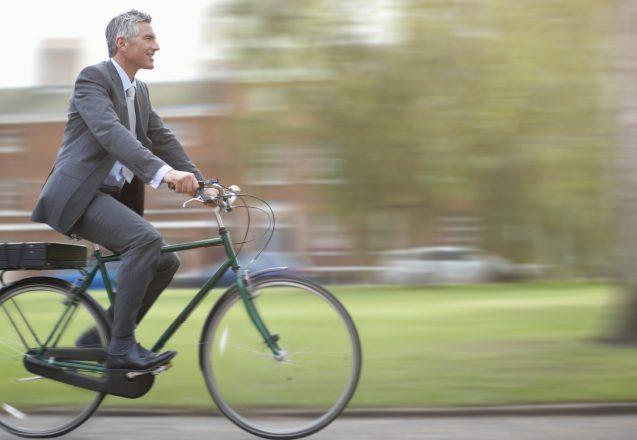 Biking can improve brain health. One study showed that circulation to the brain increased by 28 percent. Even after that the blood continued to stay increased by as much as 40% after biking was over. If you’re trying to get fit in Irvine, CA or anywhere else, one of the biggest hurdles you face is your attitude toward fitness. 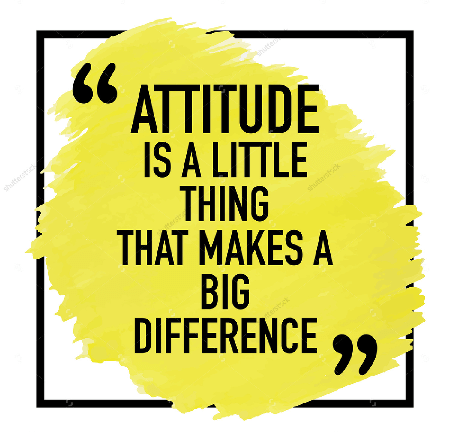 Your attitude can make a huge difference. On those days when you feel like going directly home, rather than going to the gym first, it’s your mind, not your body that rules. 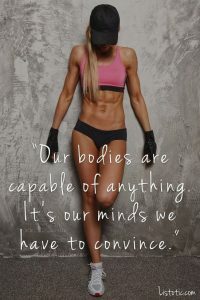 If you’re focused on getting fit and have a determined attitude, you’ll go. If not, not only will you go home rather than working out that night, but ultimately skip many nights until you no longer have a fitness program, just another empty promise to yourself. You need a reason to stick with fitness. There are any number of reasons that you may have started a workout program. You may have started because you simply want to feel better or you’re tired of carrying around the extra weight. You may have started because your doctor gave you some bad news and exercise is one of the options that help. No matter what your reason, it should be important to you, not because a spouse or friend suggested you should. When the reason is important to you, the chances of success are bigger. Expect it to be hard. Don’t go in thinking that it will be a walk in the park. However, there’s also a downside in expecting it to be hard. That’s when you expect it to be TOO hard for you to do. You have to know its tough but that you’re capable of achieving anything when it comes to being your best self. That’s especially true if you’re working with a personal trainer. The trainer identifies your level of fitness before creating a program. It’s created specifically to work you toward your maximum potential safely. If the trainer created it, you can do it. Learn to appreciate every movement. Each time you do any exercise or any movement at all for that matter, you’re working different muscles. Feel each muscle as it does its job. 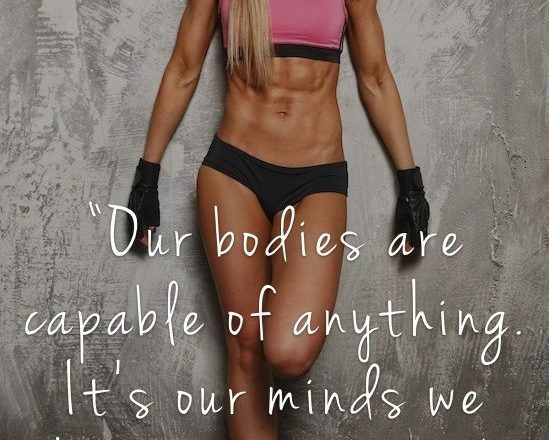 Appreciate how amazing your body is and enjoy the fact that you’re getting fitter every time you do it. One of my older clients literally giggles when she works out. She had such a problem doing some of the movements at first, that now, after weeks of working, she loves the fact her body is responding. Assess why you don’t like your workout. If it’s because you’re bored, either find something that interests you or work with a trainer. Trainers continuously change the workout to avoid both boredom and plateauing. Track the number of reps you can do, the weight you can lift or how long you can do each movement. It helps you appreciate how much you’re achieving. Keep your eye on the brass ring. Keep your goal constantly in front of you to help it stay as top priority. That’s one reason having a goal that is important helps you stay on course. Every day you go to the gym, appreciate each movement. Be glad that you’re doing what it takes to ensure you’ll be able to continue those movements even as you age. Whether it’s a busy life or just plain lack of desire, it’s not always easy to make it to the gym or stick with a healthy eating program. You need to find out what your motivation to be healthy is and keep that in mind when you find your day out of control or simply are out of sorts or tired. Motivation can stem from anywhere. It may be to have the energy to accomplish all your goals or be healthy and enjoy every minute with your child or grandchild. Why would you want to stay healthy? That’s a question that you need to ask yourself before you start on your road to fitness. Weight loss may be your first thought, but why lose weight. Maybe it’s to look more attractive, but that’s not all. Feeling better is often a huge motivation. When you look good, you feel good and when you feel good, you look good. They’re intertwined. Focus on how you’ll feel. Focus on the energy you’ll have, especially when it’s time to go to the gym. It’s amazing that when you workout regularly, you actually have more energy than ever. Knowing your motivation isn’t enough. You have to act on it. Once you know your motivation, you need to make a goal. While your doctor may have told you to lose 30 pounds, you won’t be able to do it all at once. Instead, break that big goal down to smaller easier to manage goals with a time frame to achieve that goal and a way to do it. It has to be realistic. The thirty pounds could be broken down to losing two pounds a week by exercising and eating healthy. Be specific, set a time to go to the gym and lay out plans to create weekly menus for healthy eating, with a shopping list. Even with the best motivation possible, it’s not always easy to stay on track. Sometimes it helps to have a workout buddy to keep you on track and focused. If you have a health condition that you’re trying to overcome, make sure your buddy knows about it. Your friend can help you eat healthier, too. Enlist the help of your family, too. Whether it’s losing weight or struggling with health condition, getting help from your family or a good friend is important. Sometimes, you need to be held accountable and whether it’s a workout buddy or a family member, it can help. If you can, make your week’s worth of food on the weekend, so if you’re on a time restraint during the week they’re ready to heat and eat. Consistency is key. Even if you have to take smaller steps, do them consistently until they’re habit. Once you have that step as a habit move on to the next one to get healthier. Getting healthy isn’t an all or nothing proposition. If you eat too much unhealthy food one day, it’s not the end of the world. Your mission is too important. Go right back to it the next day. No matter what your motivation to get healthier, you need to include more than just exercise and healthy eating. You also need adequate sleep, thankfulness, laughter and hydration, just to name a few.